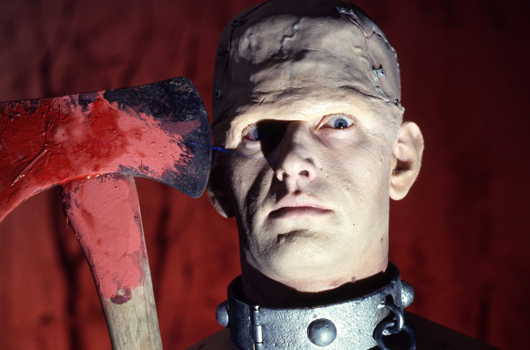 The Horror of Frankenstein was released on the 8th of October 1970 as a double-bill with Scars of Dracula. 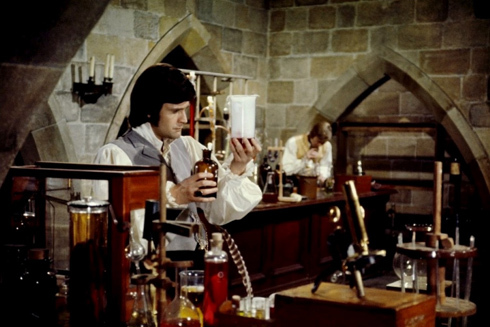 With previous Baron Peter Cushing now deemed too old to play Frankenstein himself, new Hammer favourite Ralph Bates was drafted into the role of the reanimator. The screenplay had been originally written by Jeremy Burnham, who had appeared on screen in Hammer’s The Brigand of Kandahar (1965), and essentially took the form of a rewrite of The Curse of Frankenstein (1957). Hammer asked screenwriter and director Jimmy Sangster to rework the script; initially reticent, he agreed on the condition that he could also direct. 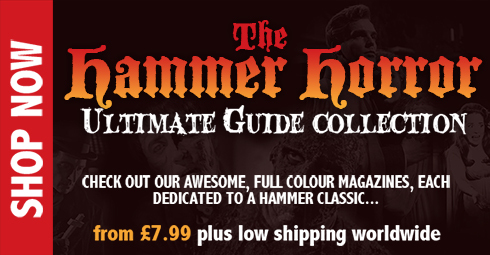 Hammer agreed, and some would argue that Sangster went off at something of an unexpected (some would say unwanted) tangent by transforming Burnham’s original version of The Horror of Frankenstein from a straight horror into a black comedy with an exaggeratedly lustful protagonist. The story of The Horror of Frankenstein covers the machinations of brilliant, but morally bankrupt Baron Victor Frankenstein (Bates) who, denied the funding for his experimentation, sabotages his uncle’s shotgun so as to cause a fatal accident and come into his much-needed inheritance. Following a trail of romantic conquests he performs his iconic experiment, unleashing his composite creature (David Prowse) upon the world. Havoc ensues, with the monster eventually being destroyed in a vat of acid. Alongside Scars of Dracula, The Horror of Frankenstein was funded entirely by ABPC, which had been recently acquired by EMI. 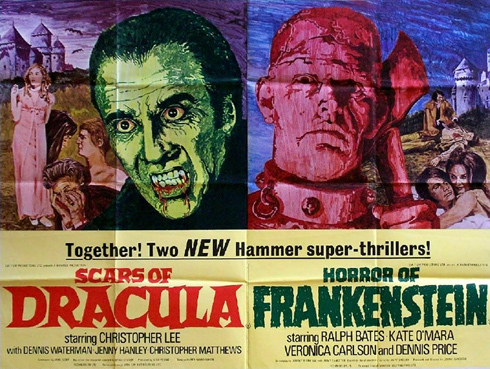 Many argue that the movie’s absence of a real hero (as neither maker nor monster proves particularly sympathetic) works to its detriment, leaving any emotional engagement with secondary characters, but nonetheless, the double-bill of The Horror of Frankenstein and Scars of Dracula remains a popular one with fans.